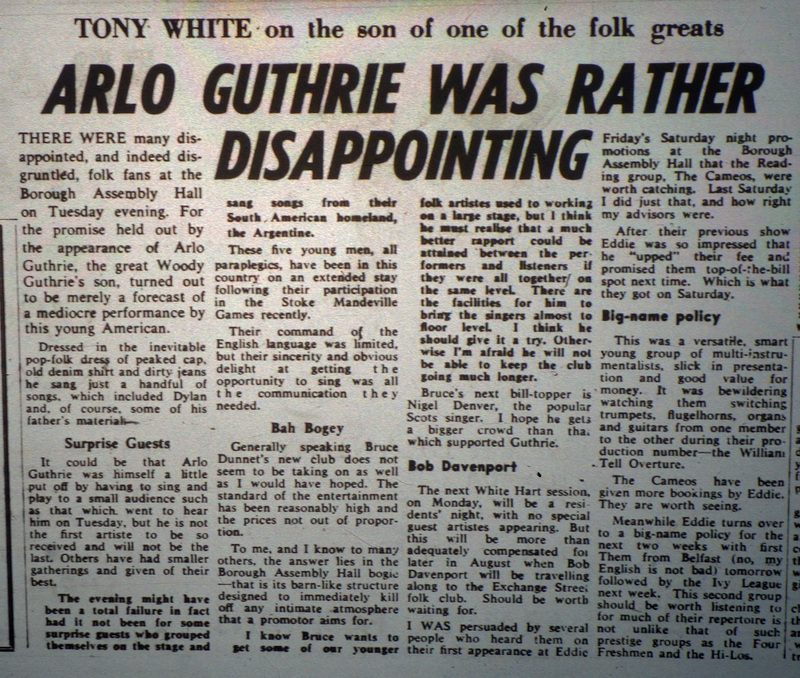 The Borough Assembly Hall was the main venue in town in 1965. Eddie Friday continued to promote on Saturday nights, but during the year there were some new promoters bringing different artists to Aylesbury – including a short-lived folk club. 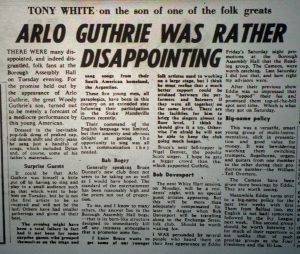 Aylesbury saw the two extremes in pop entertainment last weekend – Friday being the noisiest thing it’s ever been my misfortune to encounter in the shape of The Who and Saturday being far more enjoyable, even though mostly old hat, in the form of Screaming Lord Sutch. Friday’s performance by the young men being lauded as the bringers of “pop art” to pop was the first, and I sincerely hope the last, time that any form of music, even in its most primitive guise, has made me physically sick. The noise – I think that would be a better title – was so abominably loud that after 20 minutes I had to leave for a stiff whisky with aspirins to settle a throbbing head and an upset stomach. Overall, it was a first-rate performance from a young girl I think is destined to be in show business for a long time. 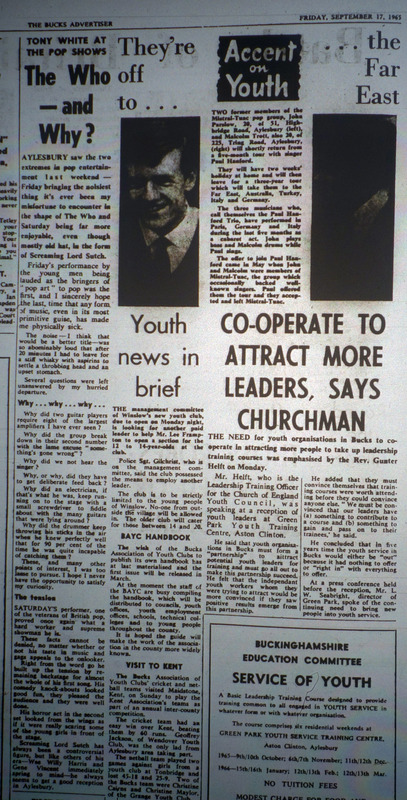 The Ready Steady Go Club was another newcomer to the Borough Assembly Hall, with Zoot Money and his Big Roll Band, The Hollies and The Nashville Teens playing. 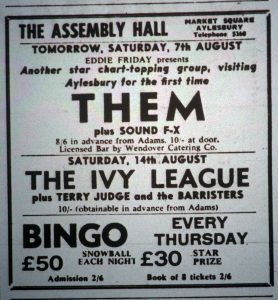 This was the third visit to Aylesbury by The Hollies, having previously played at the Granada in November 1964 and at the Borough Assembly Hall in April 1965. 1965 had bought two hits – “I’m Alive” (number one in June/July 1965) and “Look Through Any Window” (October 1965). In July a Folk Blues Club presented by Bruce Dunnet spang up for a few weeks, presenting Nadia Cattousse, Shirley Collins and Arlo Guthrie. To me, and I know to many others, the answer lies in the Borough Assembly Hall bogie – that is its barn-like structure designed to immediately kill off any initimate atmosphere that a promoter aims for. I know Bruce wants to get some of our younger folk artists used to working on a large stage, but I think he must realise that a much better rapport could be attained between the performers and listeners if they were altogether on the same level. Eddie Friday’s promotions included Them and The Ivy League. Them had had chart success with “Baby Please Don’t Go” (with B-side “Gloria”) and “Here Comes The Night”. 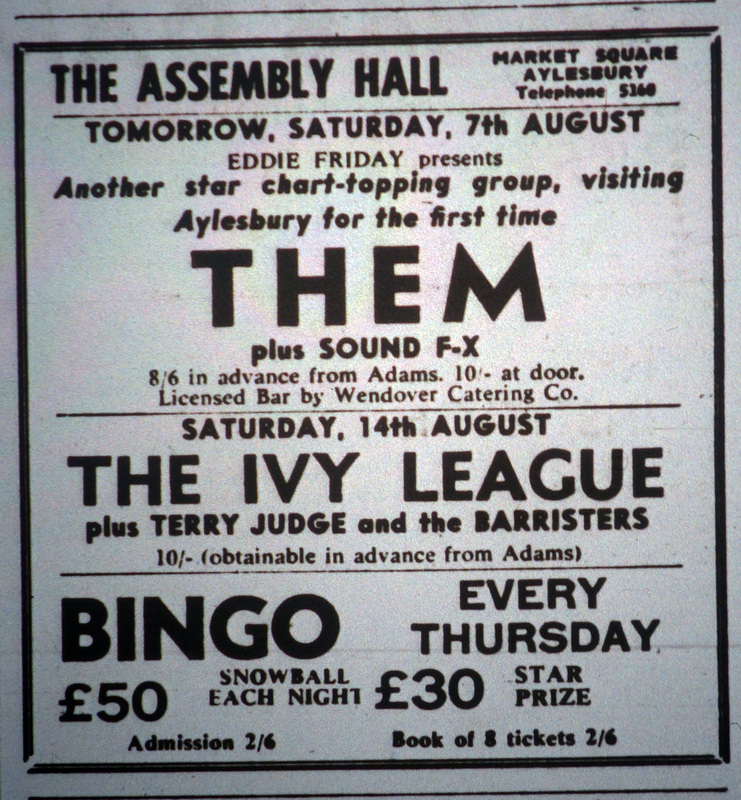 The Ivy League had “Tossing And Turning” in the charts, peaking at number 3. 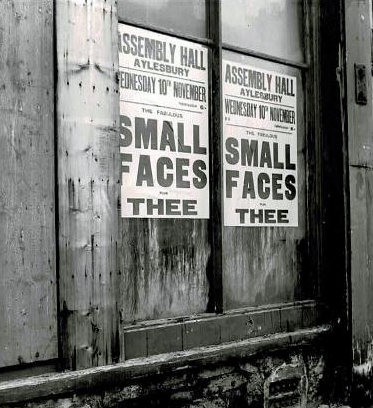 On 10th November, the Small Faces played. Those chirpy East Enders, the Small Faces, who rocketed to fame with their first record, “Whatcha Gonna Do About It”, recently paid their first visit to the Borough Assembly Hall last week. Perhaps the most significant thing about them is their meteoric rise to fame. Inside six months they have risen from nothing to become potentially one of the biggest groups to hit the pop scene this year.